Each Student will receive a lash kit of Flawless Lashes by Loreta (£100 value). If you are interested, please email us as soon as possible so that we can make arrangements with Loreta. Pricing coming soon. Please complete the form below if you are interested in attending this special training. Thank you! About Master Lash Trainer, International Judge Loreta J. Do not miss your chance to get trained by one of the world famous master trainer and international judge Loreta J. Amongst many of Loreta’s students are big names in the eyelash industry, NOUVEAU beauty group, Flirties, MyBrandLashes, Minkys, NOVA lash trainers, just to name a few. Loreta has surpassed many lash artists in fine-tuning Russian Volume to create exquisite masterpieces that simply are breath taking. 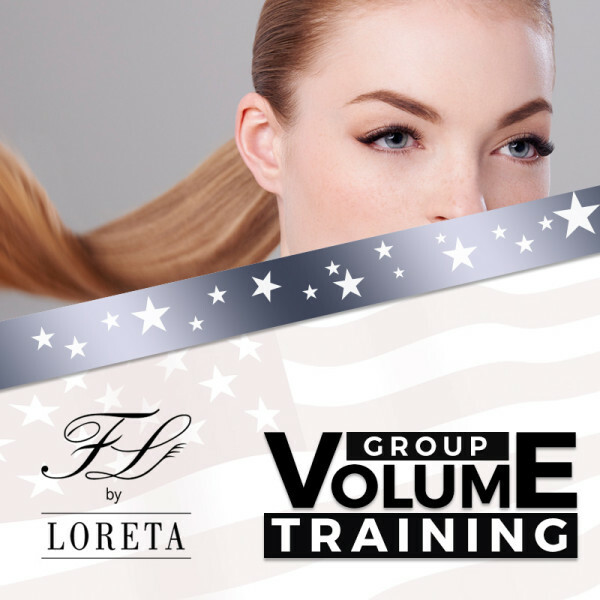 Loreta came up with her own way of doing Volume lashes and she has now 7 Volume techniques to offer her students. There are no doubts that everyone will find their favorite way of creating lovely fans under tuition provided by world lash master. *	How many years of lash application experience do you have? *	From what School/Instructor did you receive your lash certification through? *	If training was not on the weekend, what two consecutive days would be best for you? *	If training was held on the weekend, what two consecutive days would work best for you?